PC World , one of the most popular technology websites, recently took a more in-depth look at the top 5 browsers: Opera, Firefox, Chrome, Microsoft Edge and Internet Explorer. Speed, convenience and efficiency are among the factors they compared in The best web browser of 2015. According to this test, Opera was the fastest browser. 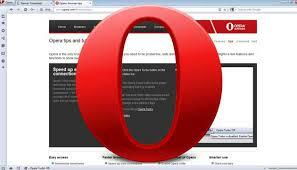 Opera 31 with no Flash loads pages in just 1.64 sec; with a Flash plug-in, it requires only 2.21 sec to open a page. It’s faster than Google Chrome 44 (1.8 sec and 2.33 sec, respectively), and much faster than Firefox 39 (2.6 sec. and 5.59 sec). 1.64 sec! That’s pretty fast! Sharing this post is the Best way to Support and Appreciate our effort, so everyone can progress.